It's tough to talk logic to snowmobile buyers who are shopping showrooms and checking out price tags. Obviously, the first goal of any buyer is to get the best snowmobile for the least amount of money. No matter how you argue it, price is always king. If you’re a snowmobile manufacturer, it looks a bit different. The first priority of any sled-maker is to be profitable. I know, that statement makes it sound like it's all about greed. Not necessarily so. It's really about viability (is this a good business to be in?) and survival. The fact is, corporations don't put their money on losers. If profits are thin or invisible, why not focus on other divisions making money? The above statement applies to every single snowmobile manufacturer. All four have tentacles reaching into other powersport mediums - some are extremely profitable, others not so much. The fact is, the snowmobile biz hasn't exhibited much growth the last decade. Although a couple of companies have been able to ring up considerable profits, the others have struggled. How does this filter down to snowmobile customers? 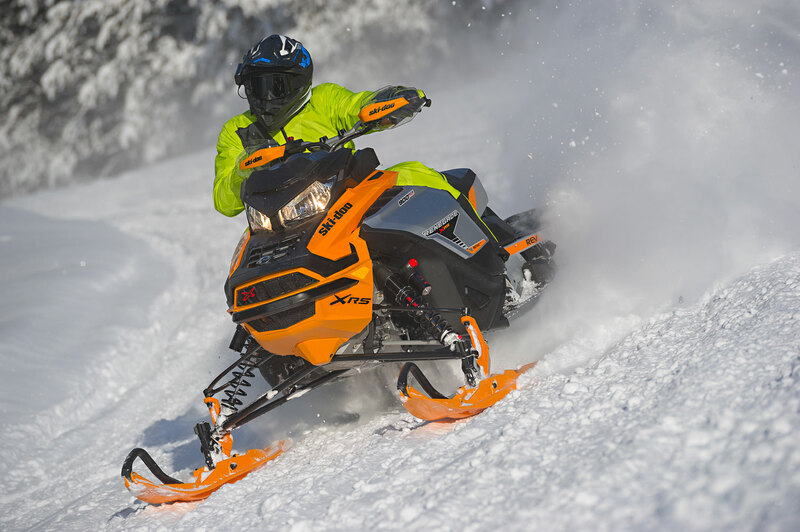 It's no surprise industry observers have noticed the bulk of sales are snowmobiles in the upper middle to high price range. In some categories, these sleds are surpassing or getting mighty close to the 20K playground. No matter how you cut it, that's a considerable recreational investment and getting close to what you'd pay for a car, boat or RV. Some of our readers and viewers have asked us: "Why can't they build cheaper sleds with decent equipment on them?" Another way to put it is: "Why do they always build so much of the expensive stuff?" Based on our observation of this industry for thirty years, here's our best stab at a response. First, when you cycle through the brochures and see the focus on expensive sleds, there are two big reasons they're highlighted. 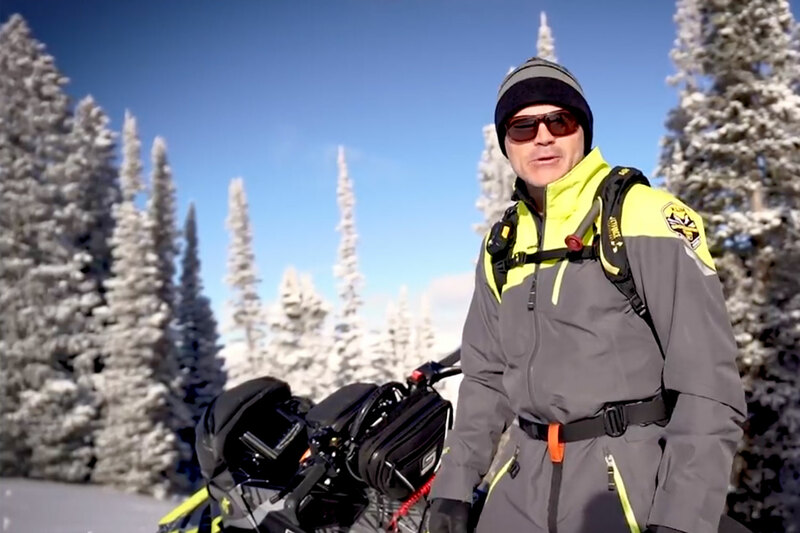 Number one: The most technical, advanced and fastest sleds are the ones that build excitement in potential buyers and motivate us to get out our wallets. This is what drives buyers to make highly emotional decisions, often spending beyond their means or beyond what they intended - to get what they want, not necessarily what they need. Second, from a manufacturer's perspective this is exactly what's necessary for profitability. The fact is, there’s more profit per unit in a big-inch, hugely equipped, highly technical model than in a baseline, stripped down, bare-bones one. If the company can invest in great technology and amortize the repayment of that investment over a reasonably short time, the bottom line looks good. Fortunately, in the snowmobile business, buyers are deep into product and crave the latest shiny thing. Here's an example: The current focus on turbocharged snowmobiles is an interesting study. If you do the math, compared to building a 2-stroke hypersled, it costs a lot more to make a 4-stroke snowmobile - especially if it has a turbocharger. The 4-stroke has about three times more parts in its engine and then add the extra cost to supply a turbo. Less profit in that if you try to sell it for the same price as a 2-stroke. A better comparison is to look at the list price of a turbo compared to a naturally aspirated 4-stroke. The cost to build the basic non-turbo engine is the same as the turbo model but the extra cost of the turbocharger is more than covered in the way-high list price of the turbo. The difference is profit - and that’s why the companies want you to shop turbo. Likewise, with 2-strokes, the manufacturer would prefer you buy an 800 or 850 over a 600cc or smaller sled. The cost to build a 600 is probably very close to what it costs to develop and build the larger sled, but the bottom line is better when you buy the big one. Don't get me wrong; I'm not making the OEMs out to be money-grubbers. Frankly, they're giving us exactly what we're asking for: More, more and we're willing to pay more to get it. We want these companies to remain in the business and that means being profitable. Meanwhile, we're sure having fun riding those high-tech, high priced sleds.